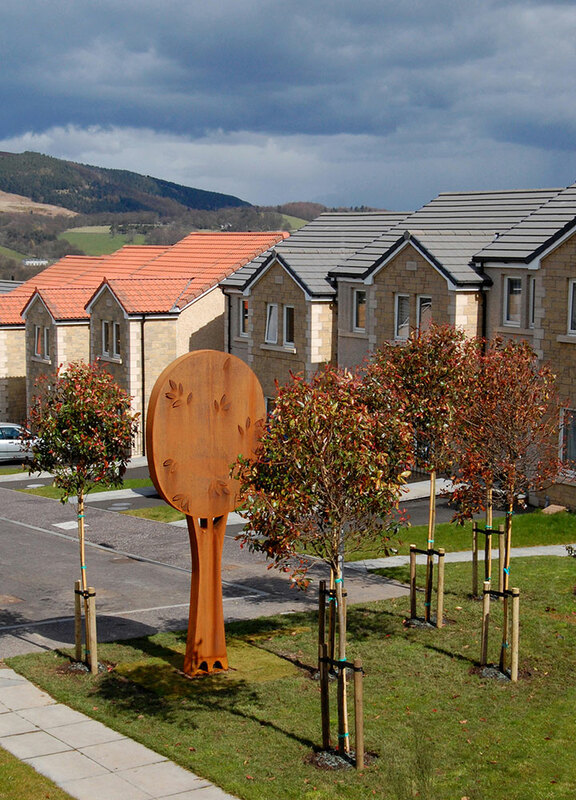 This Public Art Commission in Kelty, Fife consists of a corten steel sculpture and six trees. The site is a new housing development embedded in a rural landscape. By bringing the surrounding nature into the development I hope to enhance a positive sense of place. 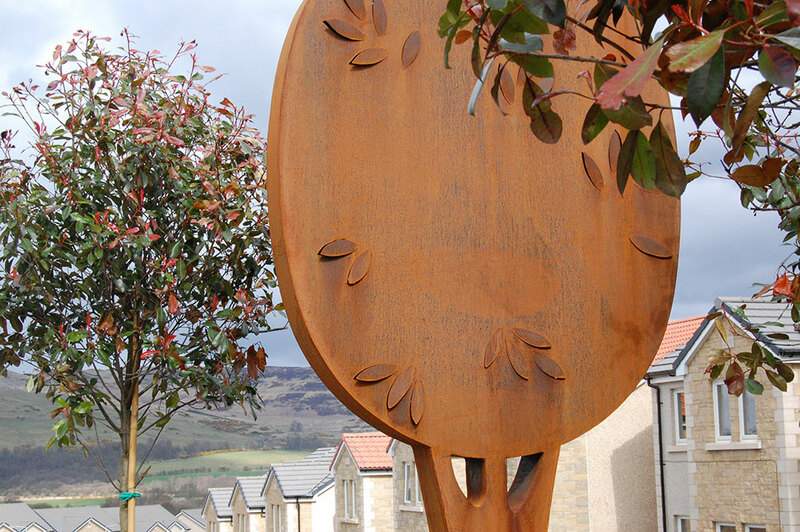 The site has been landscaped with a sculpture placed in a small grove of six Photinia Red Robin trees. The sculpture mirrors the outline of the trees and matches their final height. The ‘canopy’ part of the sculpture has Photinia leaf patterns cut out of the surface. The leaves are then slightly folded out and in, breaking the surface and adding an extra dimension. With this group I am aiming to create a contemporary representation of nature; a tranquil but strong presence that defines the space without being obtrusive.